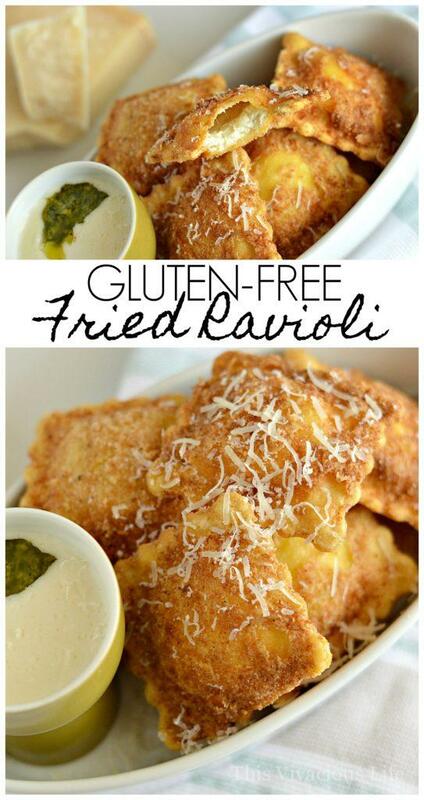 What, a gluten-free fried ravioli? Yes and it’s everything you could dream of! 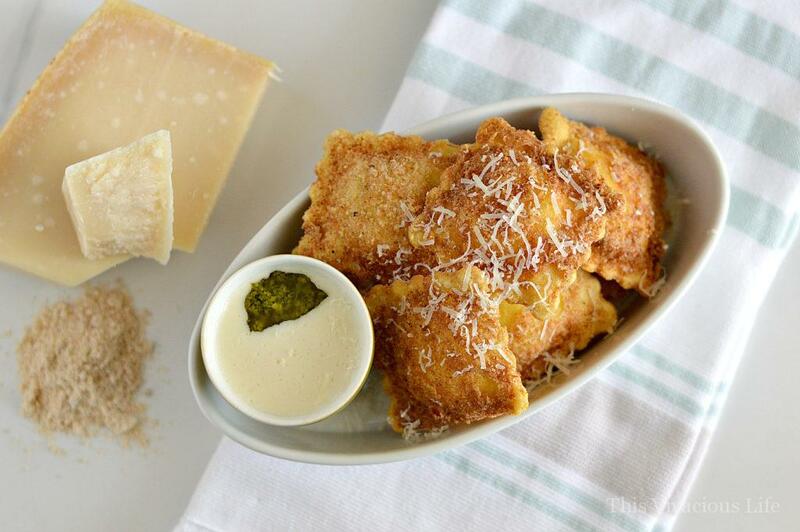 This gluten-free fried ravioli is going to be your new favorite appetizer to serve to family and friends. 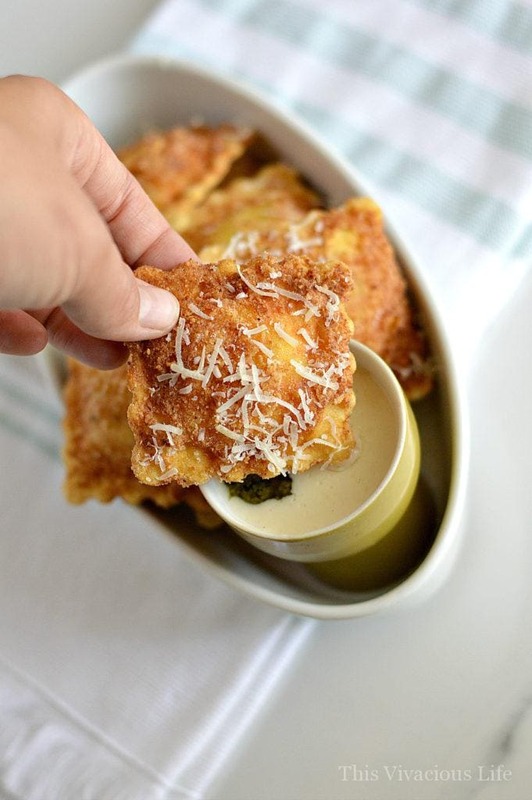 I am so excited to bring you this gluten-free fried ravioli recipe because I personally have been wanting this now for years. 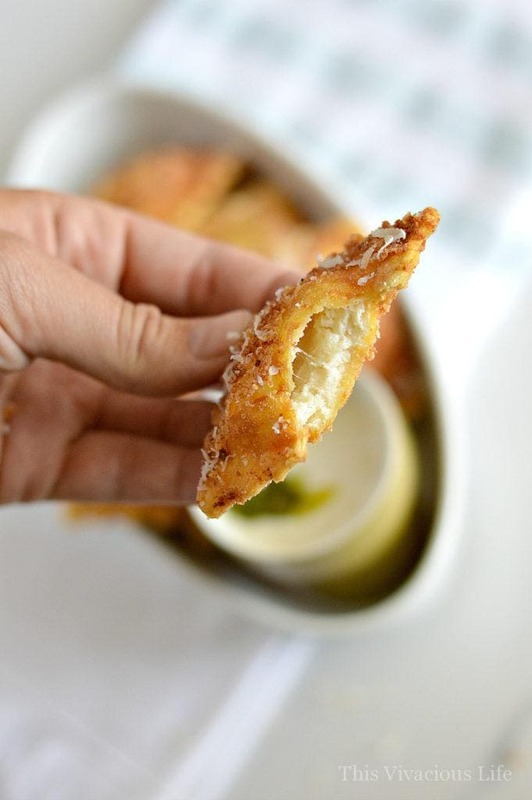 Every time I go to an Italian restaurant and see it on the appetizer menu I always whine for just a bit knowing that I could never enjoy it gluten-free… Now that’s about to change! 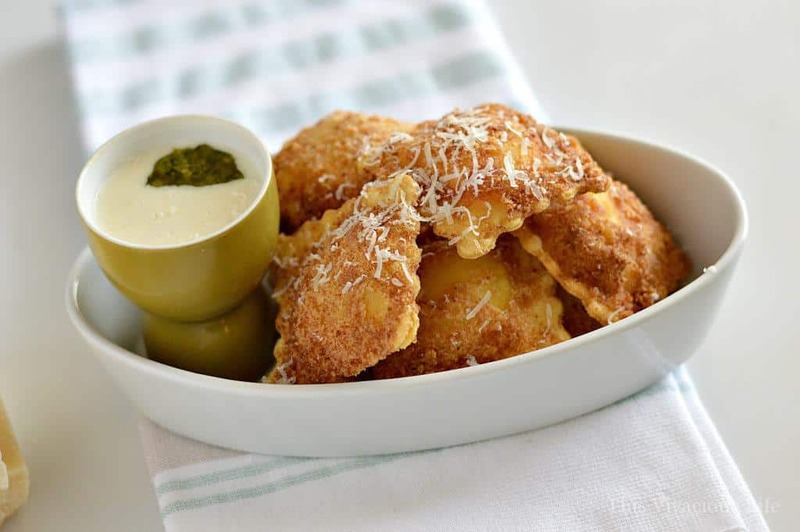 The best part is that this recipe is coming to you right in time for the back-to-school rush. 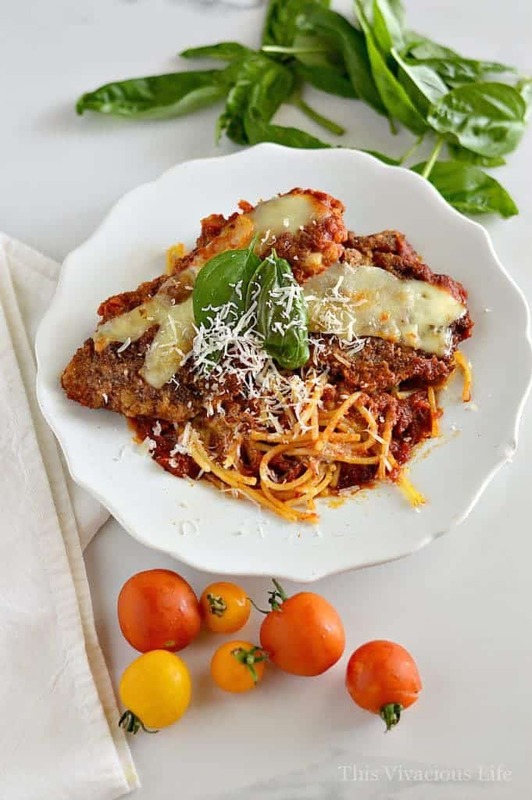 I love making these because they are a quick and easy dinner. 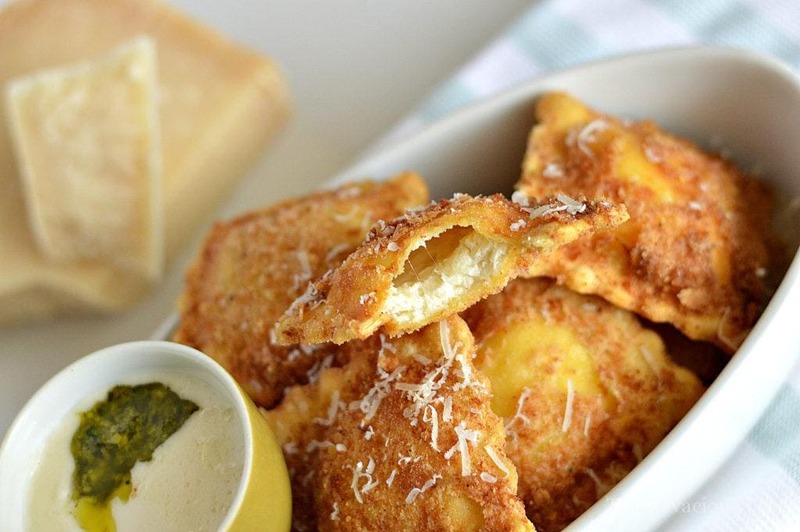 You can invite your girlfriends and their kids over for fried ravioli on a busy school night. They are sure to be a hit with everyone! You guys, I literally had to stop myself from eating the entire batch we made for this recipe because they were so good! I don’t mean to say that to toot my own horn but rather to let you know just how awesome they are. 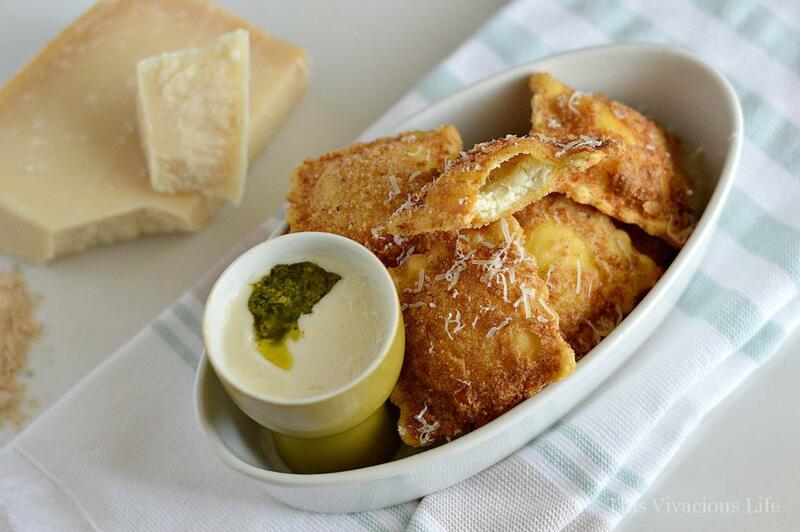 I chose to pair them with a pesto Alfredo dipping sauce but Marinera works great too. Of course, fresh grated Parmesan on top was a must as well. 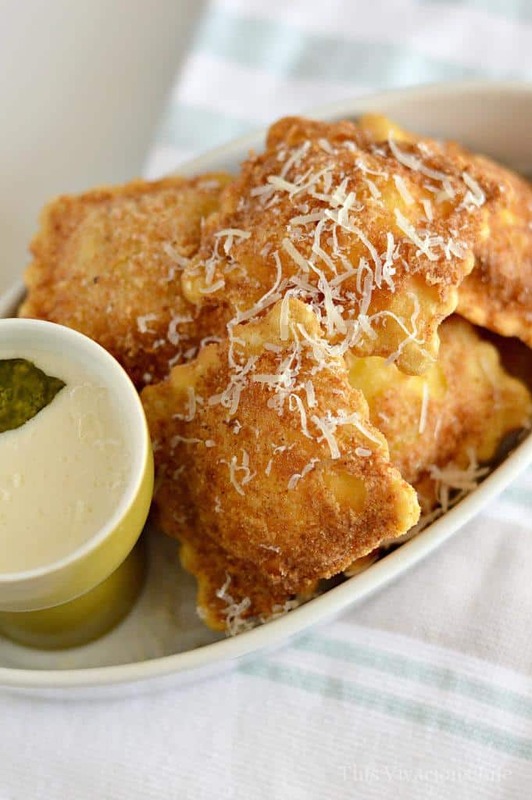 Can you imagine these gluten-free fried ravioli served up as an appetizer to an authentic Italian pasta that’s also gluten-free? 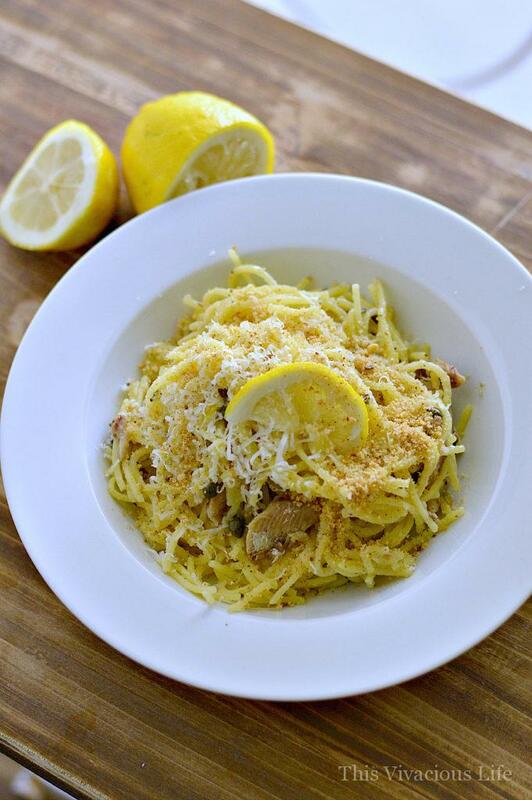 We have a few to choose from including our gluten-free seafood Pasta with lemon capers or gluten-free chicken parmigiana. 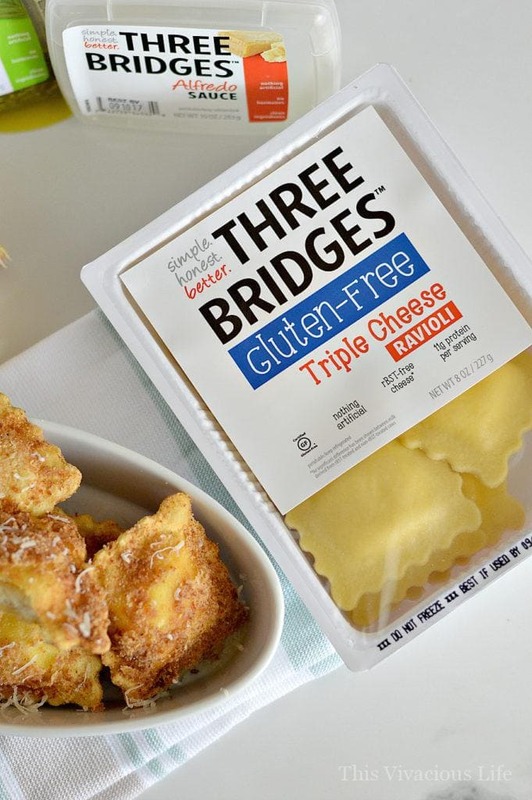 This whole recipe was possible thanks to Three Bridges gluten-free triple cheese ravioli. This pasta truly is authentic in taste and nobody would know it wasn’t full of gluten. Luckily for us though, it’s not. 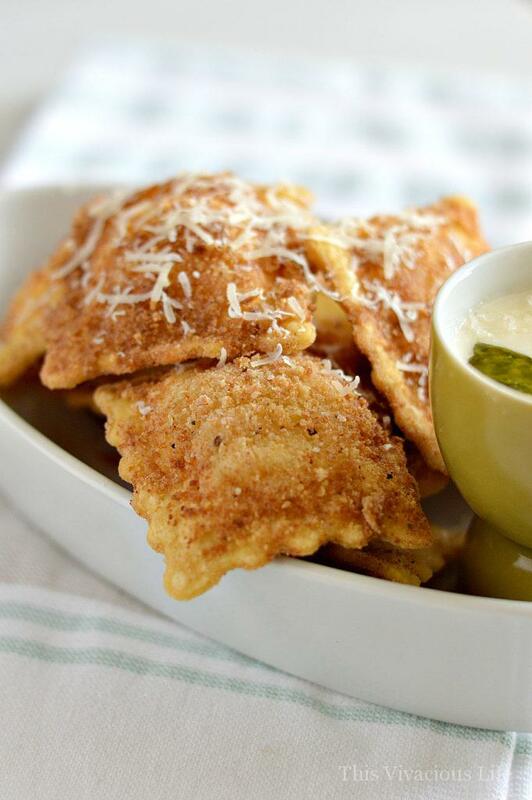 This ravioli is certified gluten-free, has nothing artificial and has 11 g of protein per serving. 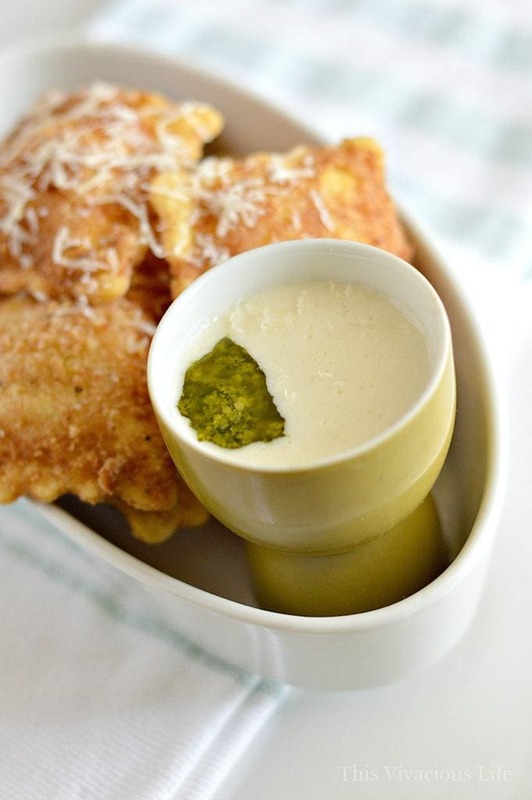 They also have fantastic gluten-free sauces like the Alfredo and pesto that we used. The Alfredo was creamy and thick just the way any type of Alfredo sauce should be. I loved the basil pesto because it was rich and full of robust flavor. 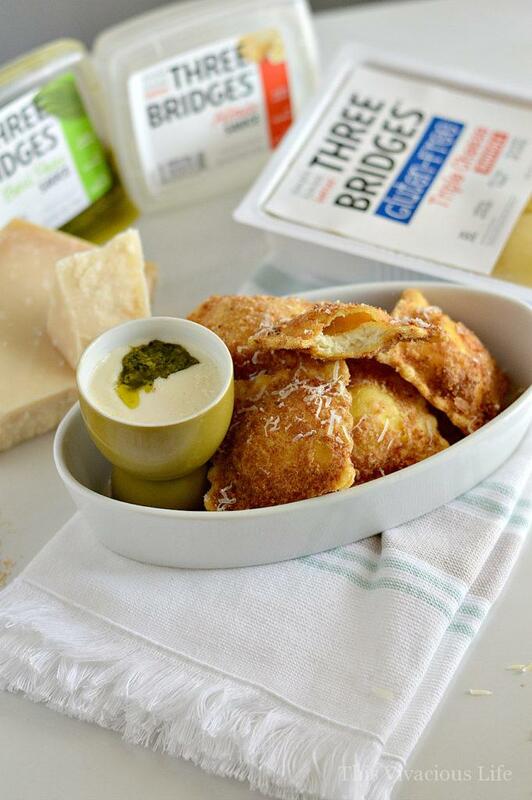 The best part about Three Bridges products is that they are produced in small batches. They use no antibiotics, hormones or preservatives either. 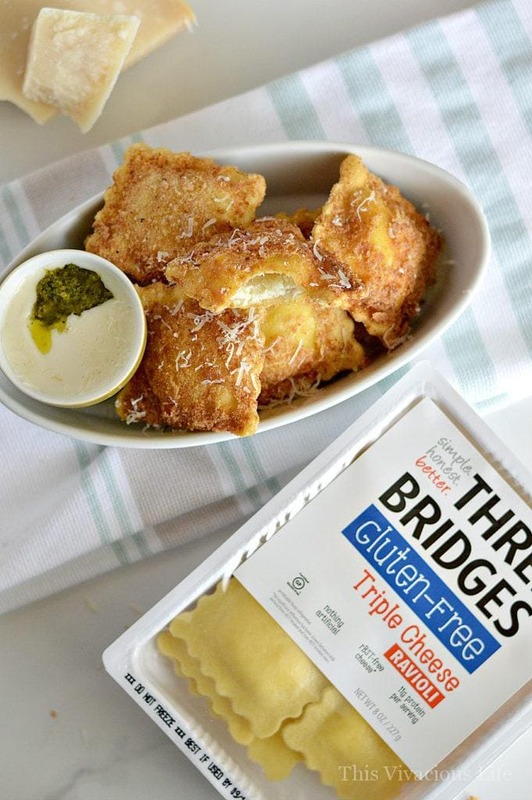 Three Bridges products are truly made with simple, honest and better for you ingredients. *Thanks Three Bridges for sponsoring this post. I was provided with monetary and product compensation. All opinions are my own.